signature "Dandelion Chai" and a range of delicious organic, vegan and gluten-free cakes, iced herbal tea, and other seasonal dishes. This is a free platform where you can bring any excess produce, home-made preserves or plants to sell or trade, and support each other by local purchasing, swapping and networking. Music in the cafe is provided by talented locals or plants (also locals!) at Bellbunya, via "the Machine for the Music of the Plants" - the first and only of its kind currently in Australia. At the same time, a healing day will be operating where people can bring their therapy/healing modality to share, or receive a treatment for $15. 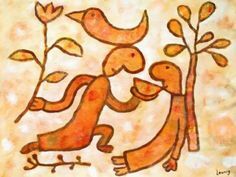 If you are a healer, this can be an opportunity for people to become known and network with other people in the area, and to share your modality. Our free talk each month is a high point for the morning! Come along to explore another aspect of life and living. 10:00am Free talk - Brother Joe Smith will share the Buddha's teaching on Mindfulness of Breathing. "There are many meditation methods out there, both Buddhist and otherwise. The early Buddhist texts say the Buddha practised and recommended Mindfulness of Breathing the most. In his teaching on it, he shows how practising it fulfils BOTH Calm and Insight, the two meditation types spoken of in Buddhist traditions. I have found this teaching is the clearest instruction on meditation given by the Buddha. It helps me relax in body and mind and then investigate causes for the suffering and happiness I experience." Can we effectively focus our caring for the land by "regenerating landscapes, ecosystem processes and soils through resilient, replicable, scalable and profitable symbiotic farm enterprises"? Dan believes so, and by popular request will again present his case for holistic land management and regenerative agriculture. Cost: Gold coin donation. Supper provided. Clare is a passionate advocate for wellness and personal empowerment who brings a wealth of life experience to her work. She is a aromatouch therapist, a wellness coach and, as all of us are, a woman trying to balance life's demands. She has been involved in natural therapies for over 25 years as a therapist or as a active client dealing with her own undiagnosed health issues for many years. Through her own journey and her work with clients she has focussed on finding and honing the tools to empower and educate individuals to undertake their own journeys to full responsibility for their own health and wellbeing. Clare's talk at the Café will focus on aromatherapy as a wellness tool, an area to which Clare's work is dedicated. She uses doTERRA essential oils as they are of the purest medicinal grade quality and can be beneficial for all health concerns ranging from balancing emotions to emergency applications. Come and engage your senses with an aromatic experience that will be informative, engaging and fun. Richard Giles lives at Crystal Waters and runs a Feng Shui advice service called Home & Health Consultancy Service. He also has a comprehensive understanding Chinese astrology. balancing up land, home and business using the best of traditional principles from this wonderful 5,000 year old system. Richard also uses a dowsing art called Geomancy which examines earth energies on site. His talk will be responsive to the audience on the day. 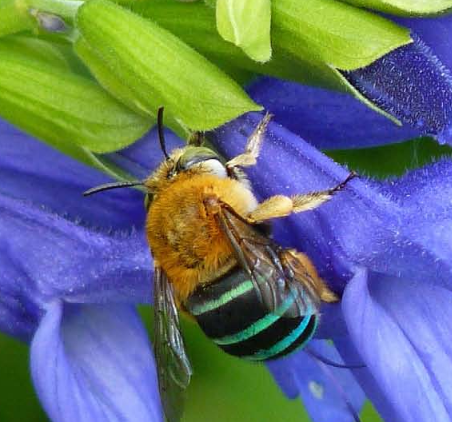 At the April café, Athol Craig, Sara Bizzel and Glenbo Craig from Valley Bees (meets at Honey Bee Farm, Kandanga, 2nd Sunday monthly, 1 for 1.30 pm) will give a taster presentation on the wonders of bees, both native and the more familiar honey bee. Bellbunya has honey and native bees in residence. "A dominant percentage of plants that provide food and habitat in a healthy environment depend on a very wide va riety of pollinators, including bats, birds, insects and wind. It is essential that we provide habitat and other environmental requirementsto ensure that sufficient numbers of these pollinators are present in a healthy system. The system of food production developed by humans has necessitated the provision of large numbers of pollinators in concentrated areas of broad acreage. Valley Bees has a commitment to this philosophy by focusing on the nurturing of the Australian native bee populations in balance with the management of the honeybee. Are you ready to bring all of your blocks? Are you ready to face all of your shadows? Are you ready to address once and for all, the aspects of the things that are holding you back ? Are you courageous enough to expand into your greatest self? Is NOW your time, to have the break through you have been waiting for? Unlike the generic one size fits all workshop, this is a Tailor-made personalised breakthrough opportunity a truly unique freedom creating, life affirming experience. This transformational retreat has assisted many people in massive breakthroughs. Allowed them to unburden and expand into their true potential. To finally get in touch with their authentic and powerful self. Once you arrive at Bellbunya you will find yourself in a safe, supportive environment. Your community of like-minded supporters. All on your own journey to a more effective way of doing life. Each of you will work with Trevor, in designing your personalised breakthrough, in itself a very empowering experience. You will confidently set your intention to be brave and go to the places you need to go to your break through. You will commit to achieving the desired outcome knowing it is all but guaranteed if you are willing to do the work. Your individual journey to positive change begins, As you bear witness and hold the space for the other brave participants, you will be inspired to join those that have come before you in making the positive changes this work facilitates. With an enormous array of modalities on hand, each participant will receive their one on one session, packed with the techniques that suits them best. Expertly guided to break through their barriers. You will end the day exhausted, satisfied and lighter as you choose to let go of the baggage that you have been hauling around with you for years. You have worked hard and now it is time to soak up the love and unconditional support of this small community fellow travellers. It is also a time to celebrate your courage, and your willingness to do all that is required to push you to new levels. Richard Giles lives at Crystal Waters and runs a Feng Shui advice service called Home & Health Consultancy Service. He also has a comprehensive understanding Chinese astrology and spoke mainly on this topic at the March café day. Those here that day thoroughly appreciated Richard's deep knowledge and application of this understanding and were tantalised by references to Feng Shui. Richard has agreed to return to speak about Feng Shui. His generosity in sharing his applied knowledge and experience are a great gift. Richard was active in the environment movement for almost two decades and his commitment to environmental work has led him into an area of environmental reconstruction that mixes the ancient Chinese tradition of Feng Shui with the modern principles of climate design. Its all about balancing up land, home and business using the best of traditional principles from this wonderful 5,000 year old system. Future Season Permaculture is kicking off with an Introduction to Growing your own Organic Vegetables (and fruit). Come join us to learn how to fill your family's belly with fresh food grown in your own backyard. Join professional organic gardener and permaculture designer Daniel McGough for 2 days of hands on training, plus all the tips and tricks to growing your own nutritious food. dirty and learn to build rich, living soil, feed hungry worms, and plant a vegetable garden all year round; How to extend growing seasons, produce super-secret bug sprays, and the essential elements of edge planting. • What to grow & when? Two teams of International Student Volunteers in residence at Bellbunya during June-July and into August, doing spectacular bush regeneration work. This will be a space to re connect with ourselves, using the tools of yoga in postures, breathing mediation and open dialogues. We'll use the frameworks of the chakras to explores the many facets of our being and seeing our potential with loving support. It provides the canvas for me, to connect with what is required at the time, for those who choose to attend, to receive what is needed. I allow my intuition to guide the retreat to suit all those who attend and give them what they are needing at the time. It is a delightful experience which we share with love. Cost includes 5 group sessions each day, homely accommodation, delightful vegetarian meals in a beautiful setting. Accommodation is shared with 2 per room and own ensuite, unless single is requested (for which the cost will increase) Linen is provided. Bring your own towel, walking shoes, hat, swimmers (just in case) and a notepad. Let me know if you'd like me to bring yoga mats and I shall bring blankets, bolsters and cushions. All are welcome - no previous experience needed - really! Numbers are limited to 12. Availability: A small number of places remain at this time. Email contact@bellbunya.org.au to confirm a space is available before paying. Phone Glenda on 54463318 after 5 October to arrange cash or cheque payment. CANCELLED Film Screening of "This Changes Everything"
However, Sunshine Coast Environment Council are putting on this film in the Maleny Community Centre on Wed Nov 25th at 6.30pm $15 a head. They have only 3 days to get the target filled. You can watch a trailer at that website and book your tickets. This Changes Everything is Inspired by Naomi Klein’s international non-fiction bestseller. Filmed over 211 days in nine countries and five continents over four years, THIS CHANGES EVERYTHING is an epic attempt to re-imagine the vast challenge of climate change. Read on for more details about this documentary. The film presents seven powerful portraits of communities on the front lines, from Montana’s Powder River Basin to the Alberta Tar Sands, from the coast of South India to Beijing and beyond. The director's words "… And in watching the emergence of a new climate movement - breaking out of silos, making new alliances, and building the next economy in the rubble of the old one - I found hope growing in the cracks of our broken system. Making this film has been the most difficult and thrilling creative work of my life so far. My most passionate hope is that it can be useful, can help people burst out of isolation and avoidance and find a way to engage. Because to change everything, we need everyone." How can films be part of social change? TUGG is exploring just that. "Today’s rapidly changing film distribution landscape is opening new opportunities, allowing us to pursue a hybrid model that includes traditional deals in the mainstream, while at the same time making the film available to a specific niche audience of educators, activists, and others who are connecting the dots between climate and economic issues... We’ve also developed extensive ancillary materials around the project which will be available at no cost through the This Changes Everything website. We believe people are ready to connect the dots, and act -- and This Changes Everything can help them do it." The focus of the retreat will be experiential yoga sessions to restore balance at year end. We will be reflecting on Yoga as a state of equilibrium where we feel seated in calmness in daily life. We will have 4 sessions of chanting, yoga postures, breathing, meditation and relaxation techniques that show our capacity for achieving this state whenever we chose too. There is also the option of two stronger asana practices at 7am Saturday and Sunday and the experience of deep relaxation in Yoga Nidra Friday night after dinner. Your facilitator Leanne Davis has 30 years experience in health care and Yoga. She is a Yoga teacher, Yoga teacher trainer, registered Yoga Therapist, Vice President of Yoga Australia and an Acupuncturist. Cost: $420 for twin share accommodation and all delicious meals included. Linen is provided but bring your own towel. Limited single accommodation and towels, bed made up available at extra cost on request. Limit of 12 people so bookings are essential. You may like to see more information and keep up dated on www.viniyogaaustralia.com and Facebook Viniyoga Australia. Very few places left - book now! Cost doesn’t include any payment to NeLi, She, like many Buddhist Dharma teachers, chooses to offer this retreat on a dana (generosity) basis, as has been the tradition for over 2500 years. There will be a dana box at the end of the retreat for offerings to NeLi. (Please bring cash or cheques for this purpose – there is no ATM handy). NeLi relies on these offerings to cover living expenses. 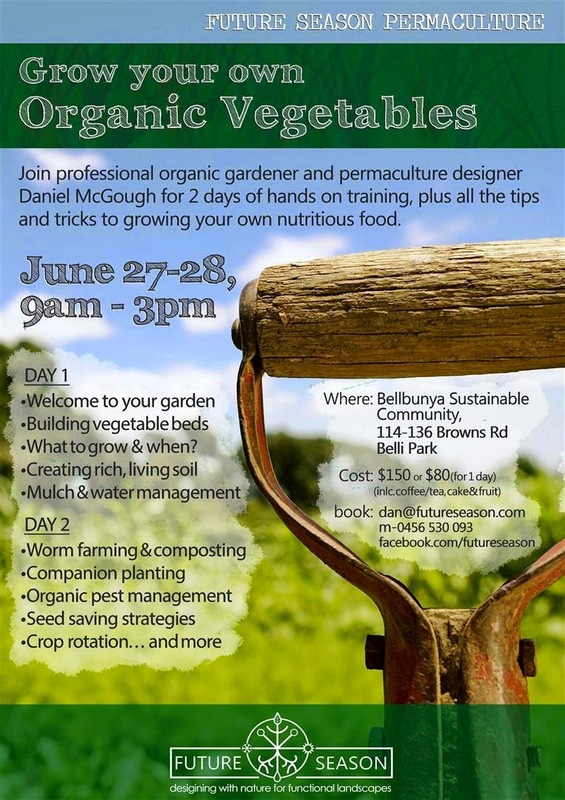 Enquiries & Registration: Email contact@bellbunya.org.au.